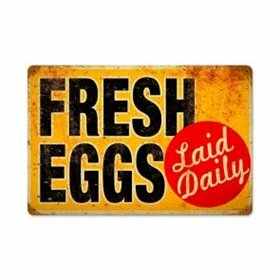 This sign just might need to hang in every coop or run for the edification of the hens. Lay daily, girls! You hear me? 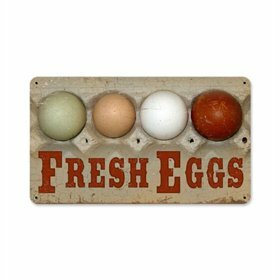 We can also imagine it on a picket fence, letting passers-by know just how fresh your eggs really are. The yellow and red colors of this sign are particularly eye-catching.